Do You Value the Prophetic in Your Life? 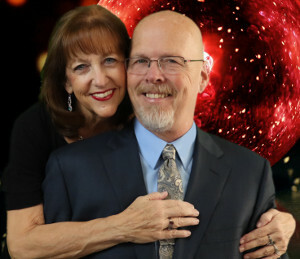 Prophets Russ and Kitty want to be the prophets in your life! Part of making that happen is committing to a regular monthly partnership with Father’s Heart Ministry. When you give into the anointing you reap the glory! What does that mean? It means that when you give to FHM and the work of Prophets Russ and Kitty that you can set your expectation on receiving BACK into your life YOUR version of the breakthrough that Russ and Kitty walk in. Our heart and our desire is that you see EVERYTHING you say and do in 2019 to be as effective as if the Father said it or did it. Sound unrealistic? Not at all. It is available. It is part of the impartation of God that Russ and Kitty pray and intercede for over all their partners. Since 2013 our vision is that we see 500 people partner with us on a monthly basis. Are you one of those? We currently have just over 250 partners – so you can see what a DIFFERENCE your partnership with us will make! We are committed to being good ground. In addition to the prophetic ministry that is our primary focus, FHM supports thousands of needy children and families in Israel through their support of Yad Ezra V. Shulamit (link). We also reach out to the lost through our evangelism initiative “www.newexpectations.net.” Through this one effort alone we have seen 1000’s of first time converts to Christ around the world that we follow up with, connect to and help nurture them in their new found walk with God. Isn’t that something you want to be a part of? Choose your partnership option below and join with us in the initiatives of the kingdom!